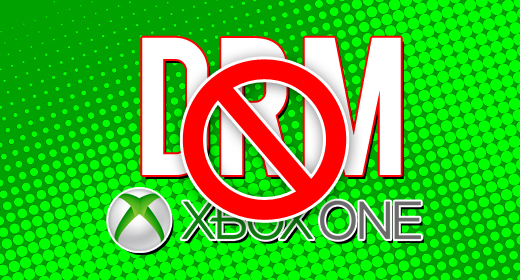 Microsoft changes course, and may save it’s future by bending to the backlash against Xbox One. Breaking news this afternoon as Microsoft announces shocking moves to change it’s policies regarding it’s next-gen console, the Xbox One. As most recently as last night on Late Night with Jimmy Fallon, Sony had been giving Microsoft direct blows by stating over and over again that these harsh policies would not be a part of Sony’s way of thinking, or it’s $399 Playstation 4 console, out Holiday 2013. Mattrick further confirms that Xbox One games will be region-free, and that disc based games will be required to be in the disc tray during play. Stay tuned for more from the JustUs Geeks for further updates on the Xbox One! Episode 64: The Best of JustUs Geeks LIVE! Steven C. Phillips liked this on Facebook. Shane Castile liked this on Facebook. Courtney Kelsch Keyes liked this on Facebook. Nat Thomas liked this on Facebook.